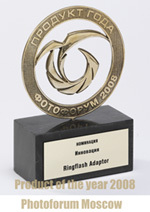 The award winning Ray Flash turns your shoe-mount flash into a ring light. 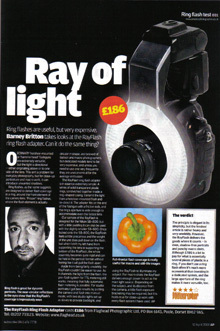 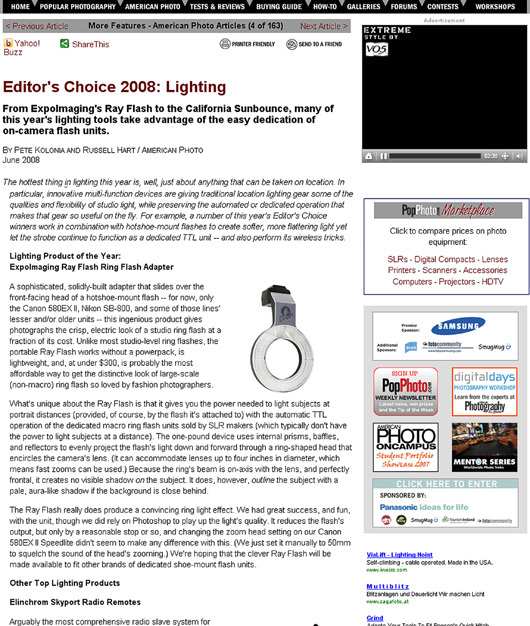 "A sophisticated, solidly-built adapter that slides over the front-facing head of a hotshoe-mount flash...this ingenious product gives photographs the crisp, electric look of a studio ring flash at a fraction of its cost." 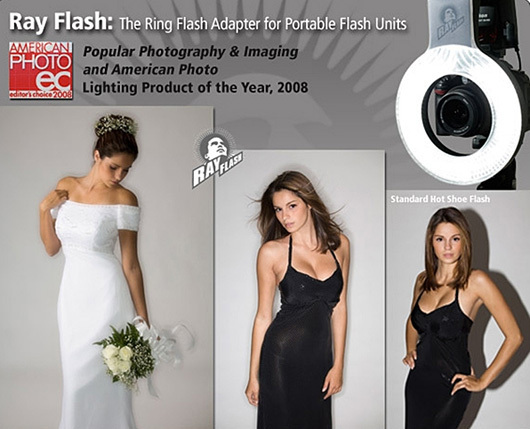 ...if you don’t use a ring flash often its much more economical than investing in a dedicated system, and the large aperture of the ring makes it more versatile, too.